The ISIS terrorist group that controls much of Syria and Iraq didn’t emerge out of thin air. A report this week is saying much of ISIS’s senior leadership is dominated by former Baath Party members who served in Saddam Hussein’s Iraqi army before his regime fell. In recent days, ISIS made advances in the Syrian capital, Damascus, and are now only three miles from President Bashar al-Assad’s seat of power, but it’s unlikely that many of the group’s fighters on the ground know that highly secretive Iraqis are actually calling the shots behind the scenes. The self-described caliph of ISIS, Abu Bakr al-Baghdadi, is said to have appointed a number of regional commanders who were officers in the Baathist army before the 2003 U.S. invasion of Iraq, reported The Washington Post. Many ex-Baath party officials either joined regional terrorist groups like ISIS or the insurgency against U.S. forces that began 2006. Hamza indicated that he “found himself being supervised by an Iraqi emir and receiving orders from shadowy Iraqis who moved in and out of the battlefield in Syria,” according to the Post. He described one of these men as a “masked Iraqi man” who only sat silently through the proceedings of his arrest after he disagreed with following ISIS commanders at a meeting last year. Hamza never caught the name of the man, but he apparently worked as an intelligence officer under Saddam’s regime. 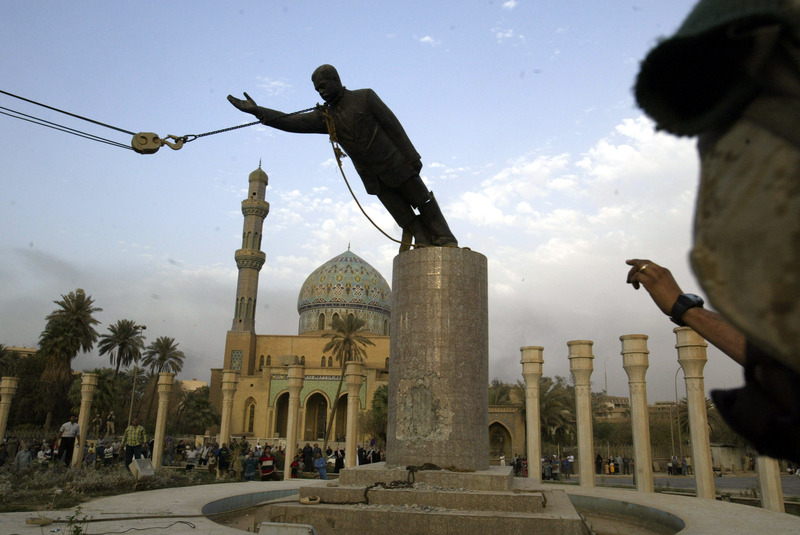 In 2003, a law to dismantle the Baath Party implemented by L. Paul Bremer, the temporary American ruler of Iraq, prevented to more than 400,000 members of the Iraqi army from seeking government employment and denied them pensions, but they were allowed to retain ownership of their guns. When Baghdadi took power, “the recruitment of former Baathist officers became a deliberate strategy,” the Post writes, citing former officers and analysts. To give an idea, former Iraqi army colonel Haji Bakr was Baghdadi’s closest advisor before he was killed in 2014, and former Iraqi major general Abu Ali al Anbari currently serves Baghdadi’s deputy for ISIS in Syria. It may not be infighting or military setbacks that ultimately result in ISIS’s demise.